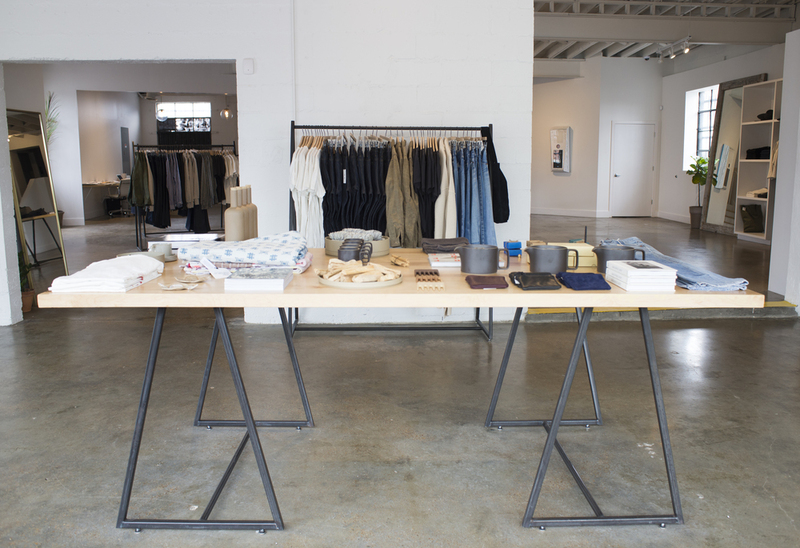 East Nashville just got a dose of NYC with the addition of multi-brand store Two Son. This 2,200 square foot space on Main Street features an expertly curated collection of clothing and accessories for men, women and home. Two Son was founded by two creative couples who are good friends and both have two sons. David Perry has a background in fashion production and founded The DSP Group in LA. His wife, Leigh Watson, is one-half of the indie-folk musical duo The Watson Twins. Aubrey McCoy has worked with photo booth company Smilebooth since it began, and his wife, James Kicinski-McCoy, is a brand consultant, stylist and owner of the gorgeously curated Bleubird and Mother. Two Son may be minimalist in design, but amidst the concrete, white walls and perfectly spaced racks is a warm and inviting shopping experience. 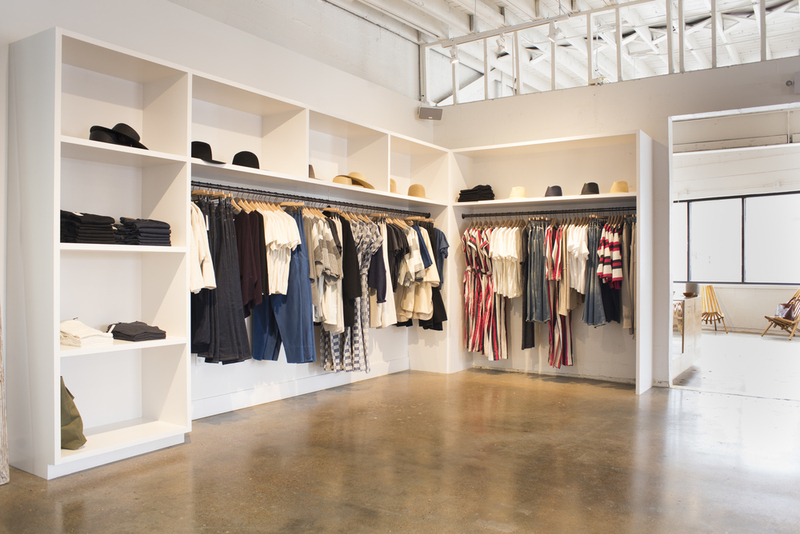 The store is full of fashion forward brands most of which have never been sold in Nashville before. It’s a fantastic mix of everything from clothing, shoes and beauty products to candles, ceramics, porcelains, art books and more. 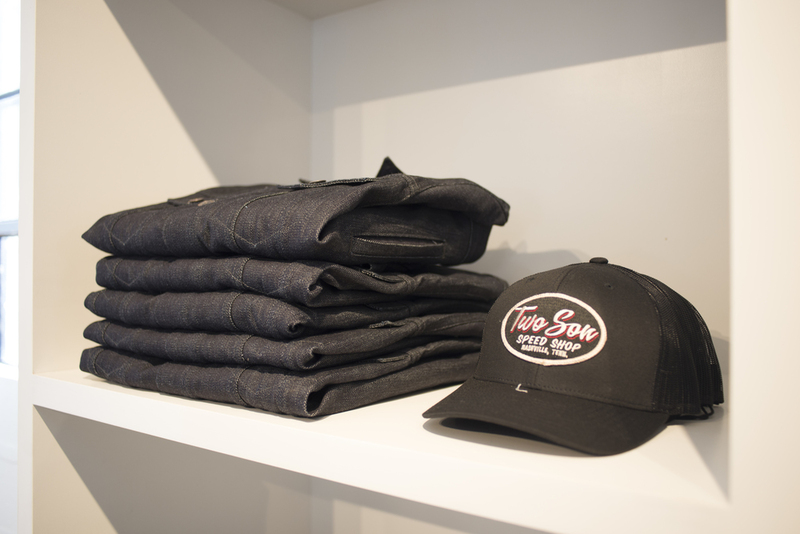 The Two Son brand features core basics including tees and jeans for men and women. While the jeans are manufactured in LA, their signature patch is made in Nashville by leather maker, Emil Erwin. Here, David Perry answers 12 questions about the inspiration behind Two Son and how the retail store became a reality. You, Leigh, Aubrey and James come from diverse backgrounds. Can you tell us about that and how you decided to come together to open a retail store? Aubrey and I met over a few Jameson’s at Petty Fest here in Nashville some years ago and I shared a retail idea that I’d had for a number of years. The next week we agreed we’d make it happen and with the help of our wives we turned it into what is now Two Son. How long have you all been in Nashville? What do you love most about the city? Three+ years, but my wife Leigh is originally from Louisville, KY. There’s a genuine warmth that’s inherent in people from the South and an almost disarming sense of true community. We’re privileged to be a part of this amazing metamorphosis that Nashville is experiencing right now. It’s an exciting time to be here and to call it home. 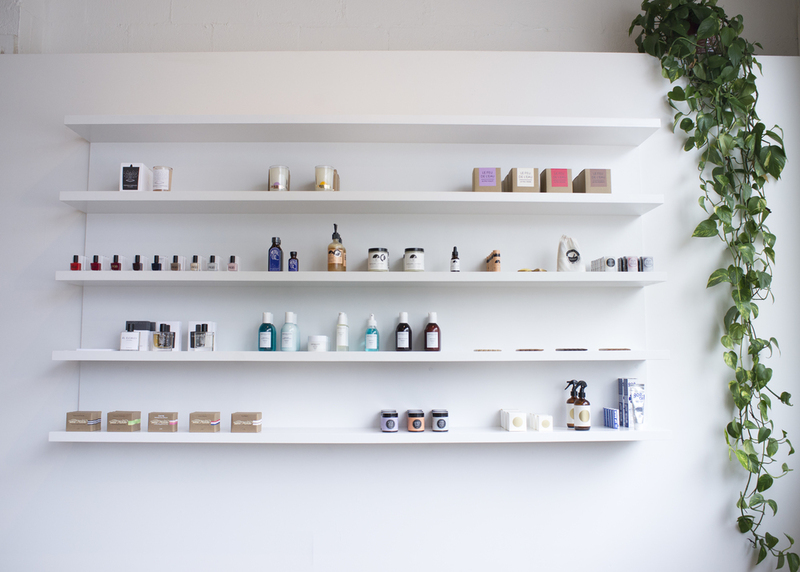 What made you chose East Nashville for the store location? It's a creative hub and was pretty untapped as far as our overall retail concept was concerned. Plus it’s close to downtown and with 16 million visitors projected to visit in 2016, we figured being in good proximity to downtown may be a good idea. Two Son carries some fantastic brands that Nashville probably hasn't been able to purchase locally until now. How do you choose the lines you carry? Well the store really is a cocktail of all our personal tastes. You’ll see Japanese selvage denim jeans next to a NY women’s contemporary brand, Moto inspired brands and literature because both Aubrey and I are avid riders and have been all our lives. The old Harley chopper in the store was built by me. Then you’ll find men’s chinos from one of our favorite European brands next to an eyewear brand from New Orleans. Everything we carry in the store speaks to our combined personalities. Tell us about your in-house line. Where are those pieces manufactured and what can you tell us about the fabrics? I have owned an LA based fashion design and production company for almost 10 years now and so for the past three years we’ve been developing and testing our own Two Son styles, ensuring that all our fits and fabrics were exactly the way we wanted them. We knit our own fabrics for our T’s and chose the best Japanese and US denims we can find for our jeans. As you can see by our store, we are all super detail orientated so we put a lot of time and energy into our own designs. Do you have plans to expand the Two Son line to include more pieces? Right now we offer what we call our core classic pieces; designs that can be worn every day such as jeans and shirts. But as we come to further understand the Nashville shopper and build a loyal Two Son following online, we’ll introduce more Core pieces to the collection. More denim and knits are definitely planned as well as possible collaborations with some of our favorite brands. What can we look forward to seeing in the store for spring? We’re going to introduce about 10 new brands to the store, both men’s and women’s as well as some more footwear lines from the US, Japan and Europe. Some will be familiar and others will be discovery brands that few people will have heard of, which we’re excited to introduce to Nashville. We’ll likely be launching most of these through a big Spring Launch party in early April. Two Son carries mens, womens and home goods. Was that always the plan or did it morph into that as the idea developed? Actually no it wasn’t. Originally Aubrey and I wanted to build a Moto inspired, primarily menswear, retail store but as we saw the rapid pace at which Nashville was changing, our wives suggested that we should probably incorporate women’s and home goods and maybe some beauty products. Fortunately for us Aubrey’s wife, James, owns www.bleubirdblog.com and www.mothermag.com so she has amazing relationships with some great brands that we’d never have been able to secure otherwise. 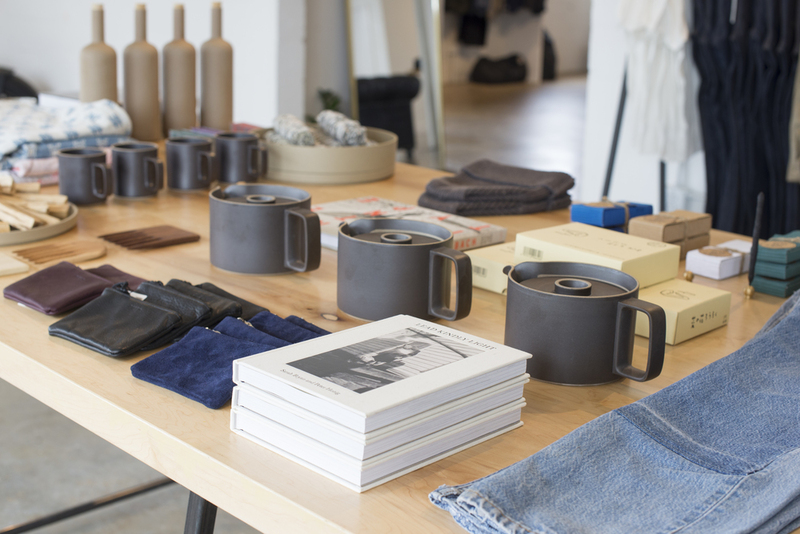 I love that the shop is minimalist but comfortable. Talk about the thought process for the design of the store. What inspired it? 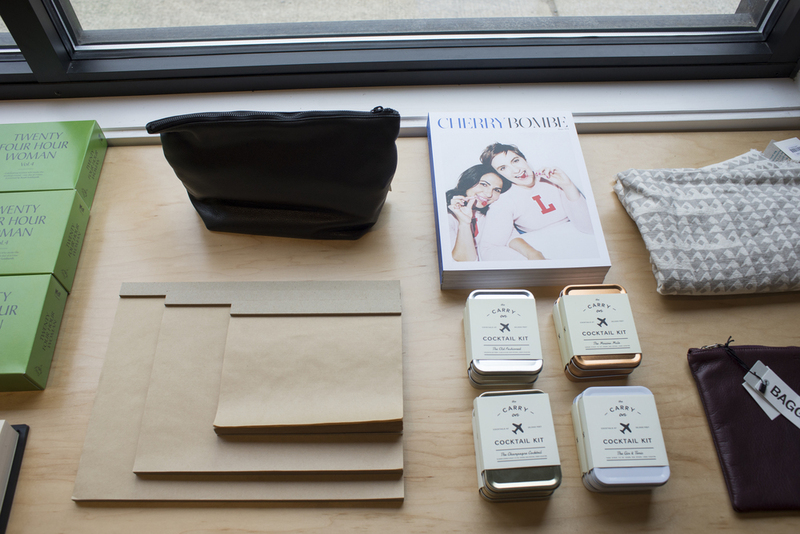 The four of us are fans of minimal, contemporary, clean design so it seemed natural that the store should reflect that. We also wanted to bring something to Nashville that was unique in design as far as retail goes. What do you want customers to expect/experience when they shop at Two Son? We’ve designed the space to feel open and welcoming so that the experience is easy and relaxing. We’ve all had bad experiences in retail stores so we addressed those as we designed the layout of the store. I love the Smilebooth on the wall in the store. Are customers sharing their photos? What hashtag should we use the next time we visit? Aubrey has been with Smilebooth since the beginning so we’re fortunate that he had a hand in designing a wall mounted photo unit for us that is the only one of it’s kind in retail in North America. Customers are slowly realizing what it’s there for and are using #twoson. What are five of your favorite places in Nashville. Follow Two Son on Facebook, Twitter and Instagram. Not in Nashville? Shop Two Son online at TwoSon.co. Two Son photos by Tabitha Tune, A la Mode Media. Article originally published on 12th & Broad.